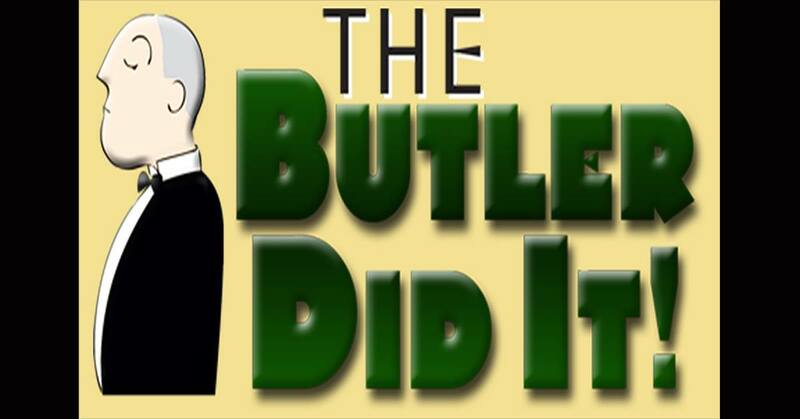 Gateway Players Theatre, Inc. kicks off their 44th season with "The Butler Did It written by Todd Wallinger. Performance dates are February 8, 9, 15 and 16 at 7:30pm and February 17 at 2pm. All performances will be held at the Fellowship Hall of Elm Street Congregational Church, 61 Elm Street in Southbridge. Parking is available on Elm Street, or in the parking deck behind the Southbridge Town Hall. The cast includes Jenkins- Stephen Jean, Sarah Jane- Tatumn Coraccio, Trevor Barstow- Mikey Dearn, Gram- Angela Clark, Colonel Nigel Covington- Sean Nault, Lady Miranda Covington- Cheri Cooper, Kat Covington- Danielle Holt, Father Timothy- Rom Portwood Jr and Edwina Corry- Sierra Trudel.